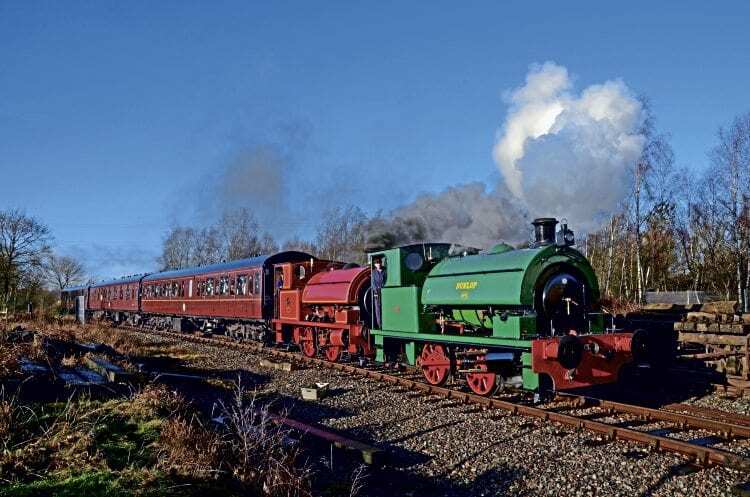 AN IMPROMPTU double-header by the Chasewater Railway’s two resident 14in Bagnall 0-4-0STs provided one of the highlights for the line’s annual New Year’s Day gala. Traditionally the running of a double-header is reserved for the last train of the day, with this working supposedly being worked by the red ex-Kent Electric Power Company No. 2 (2842/1946) solo. However, with the sun out, a full train and the second Bagnall – Dunlop No. 6 (2648/1940) – waiting its next turn, a spot decision was made to add the pilot engine.